I am all over that Thanksgiving pumpkin pie, but here’s a nice low sodium alternative or addition to the holiday menu. 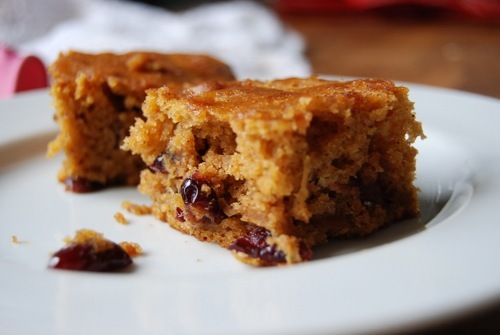 Whether served following a sit-down supper or offered as part of an informal buffet, these moist cake-like cookie bars are pumpkin-rific. Recipe courtesy of the American Medical Association Family Health Cookbook. Preheat the oven to 375 degrees. Grease a 9-inch square baking pan and set aside. 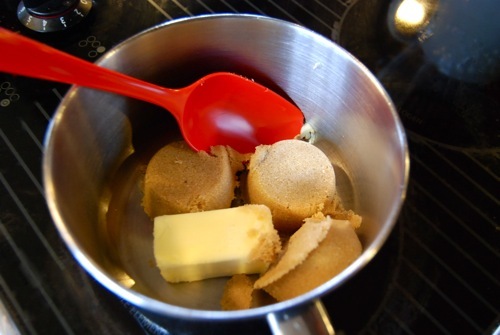 In a medium saucepan, melt the butter and brown sugar, stirring until smooth. Remove from heat and whisk in the pumpkin puree. Let the mixture cool until lukewarm, then whisk in the egg and egg whites until blended. 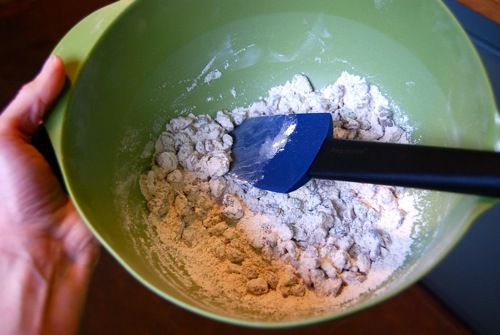 In a mixing bowl, whisk together the flour, spices, baking powder and baking soda. Stir in the cranberries and nuts to coat with flour. 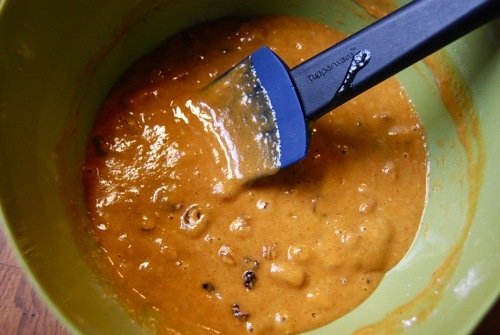 Add the dry mixture to the wet pumpkin mixture and stir until combined. Spoon into the prepared baking pan. Place pan on middle rack in oven and bake until the top is golden brown and a tester inserted into center comes clean, about 25 minutes. Remove pan from oven and place on a wire rack to cool. Once fully cool, slice into 16 bars and serve. NOTE: the bars can be stored in an airtight container for up to 3 days or frozen for up to a month. 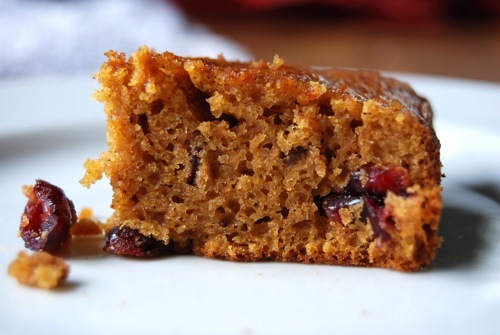 This entry was posted in Cookies, Dessert, Holiday baking, Thanksgiving recipes. Bookmark the permalink.